With these memorable lines we meet high school junior Jasmine Rourke. Jasmine's sister, Daisy, was murdered in Los Angeles, and the killer was never caught. Because of lingering media attention and concern for her family's safety, Jasmine's mother moves the family to Lafayette, Louisiana. Jasmine, her younger twin siblings, and her mother try to settle in and find normalcy. Jasmine starts back to school, meets a cute boy, makes new friends ... and then the eerie reminders of her sister, Daisy, start: a bouquet of daisies in her school locker, an odd text from a number she cannot trace. Is she being pranked or stalked? Are Jasmine and her family in danger again? Breathe is a romantic suspense novel for young adult readers. It is suspenseful, but not too intense for the teen audience. It is fast paced, with likable characters (especially the protagonist, Jasmine), and would be a great summer reader for a teen who enjoys combining mystery and love story. I liked the southern setting, and appreciated the way that Jasmine's personal faith was quietly woven into the storyline (she goes to church and prays). Her family is also well drawn - with a strong but cautious mom, mischievous younger brother, and sensitive younger sister. Easton, Jasmine's romantic interest, is a southern knight in shining armor. He is strong and kind, with a maturity and gentleness that is sure to appeal to young readers. 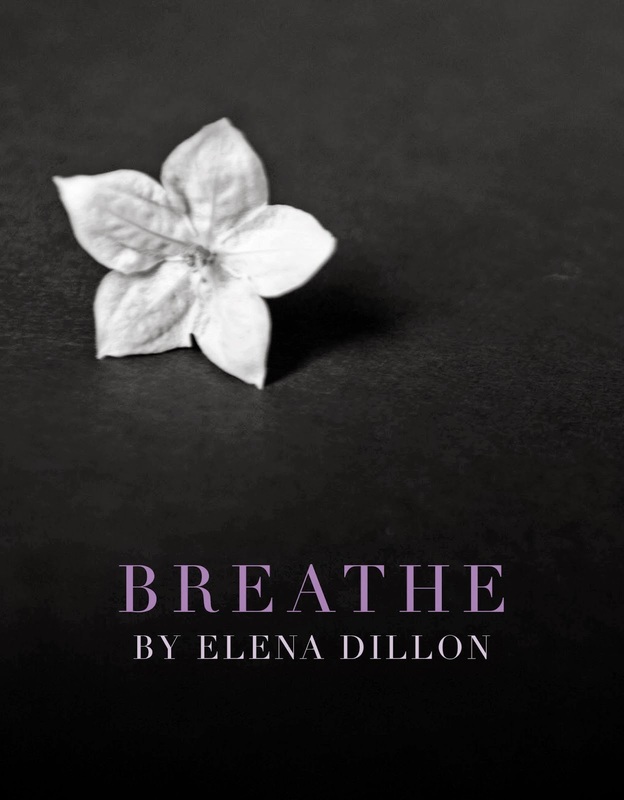 Elena Dillon's writing flows well and her characterizations ring true. The dialogue moves quickly. This is a short book, and I think it is one that young adult readers will enjoy. Thanks to MMW Authors for a review copy in exchange for an honest review. As a young teen, I would have loved this book. It sounds so appealing, in so many ways. It is reassuring to know that authors are still reaching out to this audience, at a time when reading a good book gets lost in the hectic world that surrounds us. Thanks for sharing this book with us.This would make a good present for someone in this age group. Sounds like a very worthwhile read. I'm sure you don't have to be a teenager to appreciate the story. Thanks for the review!